August has been a busy birdwatching month for me , after my Pelagic trip in early August most of my recent birding has been at local sites , on the 19th August i called into Restharrow Scrape and had some decent views of Wood Sandpiper. Wood Sandpiper are one of my favourite waders and i really enjoyed great scope views of this bird , also present were 2 Green Sandpipers & 2 Garganey in eclipse plumage. 2 Garganey in eclipse plumage. I had a couple of visits to Grove Ferry in August , on the 22nd an early morning visit proved a good choice as i saw the Spotted Crake from the viewing ramp , to distant for a photo but i had good views through the scope. There was also an immature Spoonbill present plus 2 Garganey were also seen, on the 30th i paid another visit in the hope of seeing a Whinchat , after getting some info from Martyn Wilson (many thanks) i was soon looking at 5 Whinchats . Digi scoped photos of Whinchat. I then called into the David Feast hide n the hope of seeing the Kingfisher's that have been putting on a show of late and i was not disappointed. An American Black Tern was expertly found on the 21st by Stephen Message on Burrows pit , and news broke that it was still present on the 22nd , so on my way back from Grove Ferry i headed straight there , it took some finding as there were 20+ Black Terns also present and not having any experience with American Black Tern before it took me awhile to find it. However once i got my eye in i was able to pick it out pretty much every time thankfully. American Black Tern is a sub species of Black Tern and is the first one ever recorded in Kent. Purple Heron Photo by Alex Perry. On the 31st August i received a phone call from Chidders informing me that Geoff Burton had just found a Purple Heron at Swalecliffe , so i dropped everything and headed straight there, on arrival i could Geoff & Ted looking out towards the Brook. 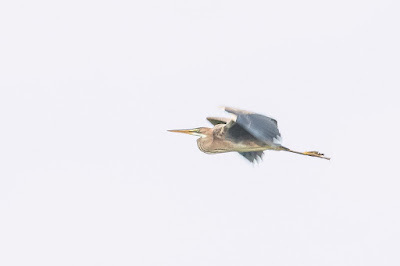 I was soon informed that the Purple Heron had dropped down into the Brook and had not been seen since , then Julian & Alex Perry arrived , we were all chatting when Geoff picked up the Purple Heron flying towards us , it then headed of west and sadly not seen again. Great find by Geoff Burton who informed me it's a 1st record for Swalecliffe, many thanks to Chidders for the tip off and to Alex Perry for the use of his great photo. A very good month for you Rob. If you click on the Photo's you will see them in full size. Mainly birdwatch in Kent. First Peregrine Falcons Egg Appears In Nest On Church Tower! Steve Ashton. A Wildlife Photography Blog.